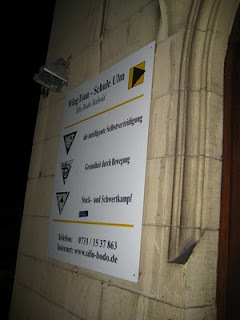 After the first WT class in Ulm, I was invited to come again the next night, including the Escrima class held before WT. Unfortunately I only had time to come for the WT class. Don’t ask me why I took this photo slanted, that’s just where I was standing on the stairs. You’ll have to tilt your head a bit to read it, so please don’t break your neck. Sifu Bodo was not in again, so it was Sihing Michael leading the class. There were a couple of other 1TGs as well. 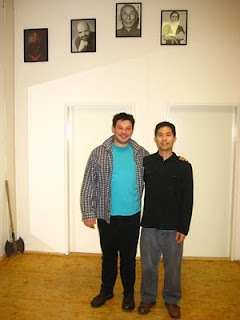 I mainly trained with Jörg, pictured below. Ignore the Axe in the corner there. It was only used for punishing really really bad students =). Then, more Chi Sau, Lat Sau, and the majority of the class spent on random attacks. Jörg was practicing soft take-downs, and I was asked to just respond however I chose to. One lucky thing about being smaller than most of my training partners is the chance to see and feel what is needed, be it footwork or better structure, etc. 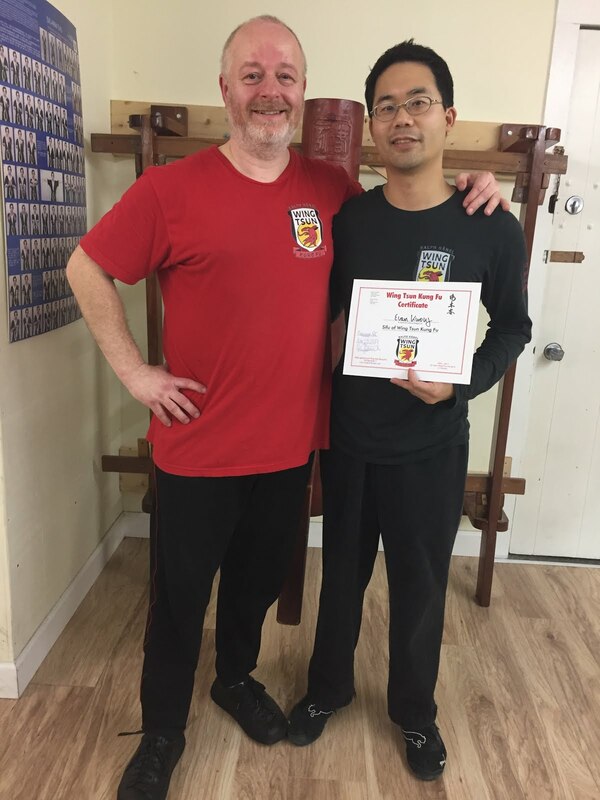 I really see the value of EWTO Lat Sau exercises as a great transition tool, linking what we learn during Chi Sau and what we apply during random attacks. In Chi Sau, we are already in contact with our training partner. In random attacks, there is only air between us and the opponent. 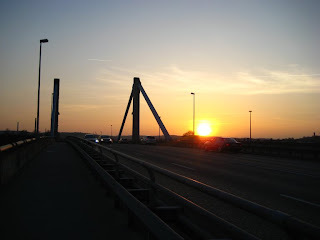 In Lat Sau though, we learn how to respond to pressure that is made at the very moment of contact. We can (and should) train slowly at first with a lot of obvious pressure, and hopefully as we get better we can lighten up and be able to respond with only a slight breeze of the hairs on the skin. The IWTA 甩手 exercises are a bit different in procedure, but the same in terms of the ultimate goal. And so that ended my WT experiences in Ulm, Germany. Next up, good times at WT Munich for just one class!